Ionarts: Messiah: What, No Theremin? It is a general position here at Ionarts that we do not review the umpteen local performances of Handel's Messiah. As Jens recently pointed out at WETA, our stand against Messiah has nothing to do with the quality of the work and everything to do with its ghastly annual overexposure, generally in performances that range from mediocre to painful. However, when the National Symphony Orchestra decided to devote its annual performance of the dreaded M-Word to a revival of the version orchestrated by Eugène Goossens, heard on Friday night, we had to make an exception. During my inter(n)ment in graduate school the Beecham recording was invoked only as a counterexample to explain what the historically informed performance (HIP) movement was trying to do, removing the accretion of conceits of later eras from the performance of early music. (If you want to see what Handel actually intended, the New York Times noted recently that the British Library has made an addition to its online gallery of virtual books: the 1741 draft score of Handel's Messiah.) 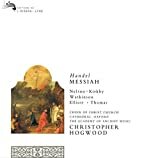 Now that the HIP movement has run its course, it seems perfectly logical to cherish a recording of Messiah like Christopher Hogwood's with the Academy of Ancient Music or René Jacobs's with the Freiburg Barockorchester, while at the same time admitting that the Goossens adaptation cannot be dismissed outright. In fact, as proven in live performance, there are many delights to be appreciated in this version. In fact, many performances of Messiah these days try to strike an uncomfortable balance with what the HIP movement taught us: harpsichord or portative organ with a small orchestra and large chorus in a vast concert hall, for example. For a venue like the Kennedy Center's Concert Hall, where the acoustic is challenging enough, the Goossens arrangement with a vast number of singers from the Washington Chorus made perfect sense. Even so, guest conductor Rossen Milanov seemed to take a cue from some of our favorite HIP recordings with very fleet tempi, where Beecham tended to luxuriate. With a few judicious cuts here and there, it kept the performance to a reasonable length. Milanov has an elegant and precise, almost militaristic gesture, and the chorus especially stayed with him admirably. 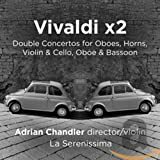 The soloists were not quite as obedient, especially tenor Jason Collins, who more than once seemed to lose track of the beat on long notes and in melismatic passages. He did have a nice heroic ping to his voice in the first half but degraded into some shouted high notes in the second. Contralto Meredith Arwady had a dark, viscous, almost masculine tone in her chest voice, and soprano Elza van den Heever was jarringly opposite, a flutey tone turning quite nasal at times. She sang well, although one wished that some of the over-the-top fireworks in the cadenza of Rejoice greatly could have made it into a rather dull I Know that My Redeemer Liveth (a slow aria that cries out for ornamentation and almost never receives it). The best solo singing came from bass Eric Owens, the rumble of his voice often matched by Goossens's outrageous use of bass drum rolls under the orchestral texture, as the bass sings words like "shake" or "refiner's fire." Ultimately, however, the reason to attend this performance was to hear what Goossens did with the orchestra. From the opening timpani roll and added horn parts of the overture, it was a dramatic and daring ride, which must have been fun for the woodwind and brass sections, who get a lot more to play in this version. Goossens works in his own sense of dynamic gradation to the score through his orchestration, and his choices have to inform the conductor on how to shape the singing. Not only does he create soft echos with flute bits or loud interludes by amping up the brass, he also reharmonized some passages, just slightly, to add some extra spice. Solo violin (Associate Concertmaster Elisabeth Adkins doing the honors this time), English horn, tuba, contrabassoon, and harp all get memorable parts (the cymbal crashes and some dreadfully tacky triangle rolls are almost laughable). The colorful orchestration helped lighten the work's often deadly longueurs, most notably in the bass's aria The People That Walked in Darkness, which hardly sounds like the austere, rather dreary original. The NSO's first concerts of the year (January 7 to 9) will likely be one of the best programs of the season. Ultra-talented violinist Nikolaj Znaider will play the Elgar violin concerto, on the same Guarnerius violin used by Fritz Kreisler to premiere the work one hundred years ago. Leonard Slatkin, former music director of the NSO, is still officially scheduled to conduct this concert, although complications from the heart attack he suffered while conducting the Rotterdam Philharmonic last month have delayed some of his plans to return to the podium. Nice review (as always), Charles. "Now that the HIP movement has run its course, ..."
What exactly do - and don't - you mean by that? That it's now more or less standard for convention modern orchestras to slim down their numbers and articulate differently when they play Baroque music? That there's no need to bother with the expense and effort of period-instrument groups anymore? That "Historically Informed Performance" need no longer be a movement because Baroque style, and even Baroque instruments, are no longer considered to be radical? 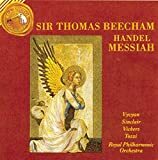 For what it's worth, I've thought for a long time that the Goossens/Beechman edition of MESSIAH is, for the most part, a very good way for a large modern symphony orchestra and chorus to deal with the piece, and no less legitimate an arrangement than Mozart's. Nice review. Wish I could have gone. MW, what I meant was closest to your third statement. 1) Period instrument bands are now so numerous and so well established that many younger musicians grow up playing in them as well as traditional orchestras. 2) Mainstream orchestras and opera companies have now admitted that HIP ensembles are the best, or at least a viable, option for performing early music. 3) Listeners generally see their recordings as valuable to our knowledge of music history. In a sense, the movement has run its course because of that acceptance. It also means that it is time to stop thinking that only HIP style is valid for early music. I don't mind Bach played on the piano, and it is actually alright to listen to the Goossens orchestration -- because it is widely recognized as anachronistic, yes, but also of musical interest. It's the great irony of the HIP movement. They set out to confine public musicmaking to a series of rigid dogmas about how music must be played. Yet the end result was to make performance styles more diverse than ever. None yet, I believe. When they do the Goossens edition again, hopefully they will broadcast it on medici.tv. Waverly Consort's "The Christmas Story"
Best Recordings of 2009 - "Almost List"
21st Century Consort: "Currier and Ives"